You wedding nearing and you are busy planning your wedding budget. Certainly, as there are thousands of things to plan and undertake before the grand day. 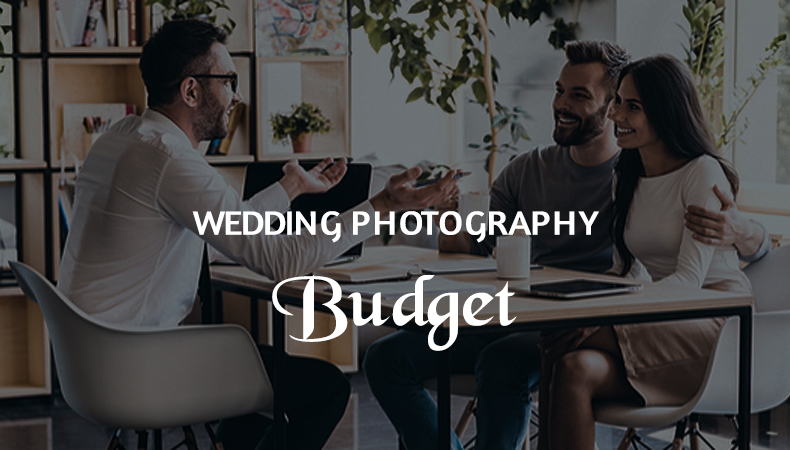 There are several things you need to necessarily spend your budget on from your venue to decor, clothes to make-up artists, catering to entertainment and not to forget the wedding photographer. Like your wedding is once in a lifetime event so is your wedding photography once in a lifetime investment. The memoir of your wonderful and beautiful moments, which you will cherish forever. In a wedding no matter how hard you try, still things go beyond budget sometimes and it seems unavoidable in certain situation, still it is essential to have a figure in mind to go ahead with. You have to determine the budget for everything and see what budget works well for you. Having an idea beforehand is always good to go. Otherwise there are numerous avenues to spend on and like this you can go off budget, as the wedding by large demands thousands of expenses which you have to take care of. The first step you should take is set or fix a budget separately for your wedding photography. Don’t just mix it with other things of your wedding. Wedding photography is as important as any other item in your wedding, which you can genuinely not ignore. Make sure that you keep aside 10% – 15% of your wedding budget for your wedding photography. If you know the real charm of having good wedding photographs of your wedding afterwards. To be up-front about your wedding photography budget when reaching out to wedding photographer is imperative. If you will be clear about your budget in the very first meeting with the photographer, it will be good for you, possibly he will understand your concern and also he would be able to customize the package for you. There is a lot you can do Even photographers know clearly that not every client has the same budget for their wedding and hence they also design their packages in a way that everybody and anybody can choose the best deal as per their budget and need. Try to negotiate with the photographer if his prices are not fixed. You wedding photography is once in a lifetime investment, you know that. Quite often just out of excitement couples especially brides spend too much of money on things which they might not even use later. Just because she saw her friend buying on her wedding, she felt like buying it too, such shopping is of no use. 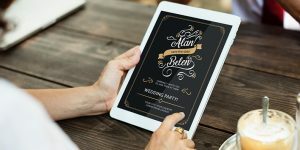 You may regret buying it later, it’s better to make a list of items which you necessarily require for your wedding and cut-cost in buying not so necessary items. And you will have enough budget to spend on your wedding photography. It might sound bizarre to you but there is no harm in getting your wedding photography funded, how you ask….. Like other couple you also must be having a list of close relatives, some of them will be really close ones like your paternal and maternal uncles, they must have decided some amount to buy a gift for your wedding, instead going for some gift, ask them to fund or sponsor your wedding photography which you will never forget. Whenever you will flip your photographs you will always remember that uncle has gifted me my wedding photography. See household items which close relative generally gift mostly are of not much use so it’s good to go for this option. Every person in the era of digitization has account in almost all the major social networking sites, you too have for that matter. Try to build relation there like in Instagram there are many people who are professional or qualified amateur photographers and videographers in your friend list, who are capable of producing professional-grade material. Why not to ask for shooting your wedding and that too in the best price, you might ask for a discounted rate for your wedding photography. Also, there are many passionate photographers or rising professionals online, who possess not much prior experience, may be willing to do it even in much lesser prices. All you have to do is ask them and trust them. Normally couples are tend to start planning for wedding upon getting engaged, so you have enough time to do a tad of brainstorming. Well, the idea is to search for the right photographer online, offline, referrals, and fairs, there are myriads of options to have a list of photographers for sorting out, try out finding, get as many as possible quotes from them, compare their prices and services, only when you find the one you are comfortable with, book! If you will just stick to the first offer you see, chances are there will be other who will be willing to offer better packages in the same price which you have settled with the first one. There is no harm is exploring more options as everything is online, you just have to visit few websites, contact them and ask them for the quotes. You don’t even need to visit them personally until you get the one you are comfortable with. This task may seem monotonous or too much initially but you will be happy upon getting the best deal after taking this small amount of pain. It is not too much to do if it is your wedding, after all you want to have the best memoir of your wedding for the lifelong. Firstly, they will be in team, hence their work won’t be hampered by each other, otherwise separate videographer and photographer will keep on bumping into each other to get their perfect shots which doesn’t look nice. Secondly, which is most important off course, going for the same photographer for both video and picture you can negotiate for best prices as you are taking full package. I think you got the idea…. Try it! These days there are many websites or job boards like upwork, freelance.com etc., who encourages freelancers in almost every field, mostly these freelancer put gigs on their pages or else you can also post your requirements along with your budget and find out the one you are searching for. 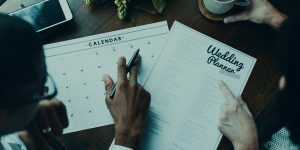 These gigs are not too costly, mostly these photographers are freelancers, budding, less established, etc., and chances are highly likely you can get one from any such platform. Like this you can get couple of good options, and then you can ask for their gallery to share with you if you like the work you can go with the one. The best part is you will get your entire wedding photography in your budget. 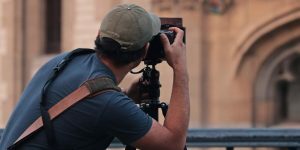 Budding photography and videography professionals are often ready to work for less, as they want to increase their visibility and add to their portfolio. Sometimes these budding photographers are able to give you that professional-grade work at that nonprofessional prices you will be amazed to see. When meeting with your photographer in person, the first thing you do is seeing his work his gallery. Discuss the package with him clearly like what all is include in the package. Sometimes photographers’ package contains too many services, most of them, you might not necessarily even require for your wedding. See the services included in the package and chuck out those which are not required in your wedding. For example: theses day a new trend has come up pre-wedding shoot, well that’s a great idea to spend wonderful time with your spouse to be but if budget is a constraint, you can remove it from the list. You may have some good friend who is a passionate photographer, loves to carry his camera, take his help to get your pre-wedding shoots ask him to get information of HOWs and WHATs of pre-wedding shoot. Like this you would be able to avoid unnecessary expenses. Also, there are few small events which happen before wedding that can also be taken care by your friend or cousin for that matter. So, basically the idea is to customize the package according to your budget and removing all the add-ons or extra services. Easy know go for what is necessary and leave not so necessary items from the package. EASY!! 10. Have You Checked On References? Lately your friend or your uncle’s daughter got married and by chance you also bumped into the same photographer as you and your family liked his photography very much. Oh that’s great! You got a nice reference. You should tell him about your cousin’s wedding photography and how all of you have liked it so much and that’s the reason you are back there. Ask him to give you a nice discount, tell him how he can become your family wedding photographer sort of, as there are many wedding lined up in this year. This will surely click him as every photographer wants to get more and more work, who doesn’t want tell me….. There will be many things which your wedding photographer will lure you, but you know your budget very well. Just don’t go with the flow, give it a thought what all he is saying to, as I said in previous point there may be many services which you don’t even require. Photographers offers packages with few add-ons make it flair and showy just to lure you. The basic package will surely have all you need your wedding shoot, album, an online gallery or DVD. Photography and videography packages vary photographer to photographer depending upon their location, quality and several other aspects, you don’t have to stick to the one who you are not flexible with. Otherwise you will end up investing more than your budget. Go with your budget, as you know it very well and the consequences of going beyond that too. You need to look beautiful on your wedding, if your expenses will go beyond your budget, it will start to hover your head you will be stressed later, there is no point doing so, because it will reflect in your wedding pictures. Ultimately your inner contentment is most important as it will reflect in your image, if you are happy your photographs will be beautiful and you know already you can’t fake happiness or your smile. So, be wise!! By any chance if your wedding is set to held in off-season, you know off-season right? 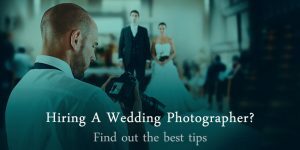 Meaning when there is rarely any wedding happening or maybe few are, then for sure you can expect an off-season discount on your wedding photography. You can ask for that straight away, they won’t mind. Mostly people get married in the peak seasons, then the rates of any vendors are automatically high, so is the case of photographers also. But if yours is an off-season wedding you can look out for the discount, and you’re not expecting anything unreasonable. If your photographer charges per hour basis, you can customize your budget wedding photography package by reducing the number of hours. You can try to have most of your photo shoots (major ones) in those hours, and rest small photo shoots can be taken care by your friend or cousin who is a passionate photographer and love to shoot, assuming you also have one.. ☺ ☺ If yours is a typical wedding, where every ritual and every custom matters, then you can see which ones are the major ones and accordingly you can discuss it with your photographer and set his hours of work, this way he can also take care of another shoot (if any) and you also get wedding photography in your budget itself. Whether you are getting married in your town or in some other town for that matter go with the local photographer and videographer. This way you will be able to save on their traveling expenses. Why should you incur extra money on travels and accommodation of your photographer and videographers, it’s always good to go with the local photographers. Moreover, local photographers are well-versed with the venue because in their life time they might have captured some wedding there before also in the same venue, their familiarity with the place gives them ease to work in the known venue. Well, most often service on credits are not provided, but if yours is a small town like ‘everybody knows everyone there’ kind of, or the photographer is referred or recommended by someone close to you and the photographer itself, then you can ask him for referral discount or if not that then, at least you can try making payment on credit basis (in installments). One huge amount as down payment and paying remaining money in installments (if possible), this will ease an immediate burden of wedding photography budget and you will not compromise on getting good services too. Such things very much depends on your rapport, location, locality etc. If you are hosting your wedding in some venue, they also have their own vendors including the photographers and videographers. You can consider their photographer also, if it matches with your requirement and if you’re comfortable with him then no problem in going ahead, because in this case you can probably get best prices as already you are paying huge amount for the wedding, catering and everything to venue for hosting your wedding there. Here, you have a valid reason to ask for some discount in your wedding photography which will surely be in your budget. Again, another benefit of having a recommended photographer from venue, he will be familiar with the location and he would know WHEREs and HOWs of the particular venue to get the perfect shots. If yours is a close-knit wedding only fewer guests from family, relatives and few close friends are expected to attend, then you can limit the size of the photographer’s team. Why should you incur extra money on extra staff when you need not many people to capture your wedding? Only a leas photographer along with an assistant will do…. Logic right….. Apply!! If you don’t want to pay your wedding photographer’s payment in cash right away, another option you have is to pay with your credit card. It will just push your expense to another months billing cycle that’s all, and later you may even convert it into EMIs. Just a thought, if you thing it is feasible to you… It’s just immediate burden will be released from your head. No wonder, your photographer will click huge number of photographs because it is needed but not every photograph needs to be printed. For final album per picture is charged, here also you can customize your album to take care of your budget. Choose the best one and the most important ones which you find relevant. Even different quality of papers are available for printing photographs, you can choose to go with the decent one, not necessarily the expensive ones are the best ones. Also, there will be few pictures which needs to be bigger in size which comes in the initial pages of your album, choose them wisely. You must be lured to see many good pictures but it is your duty to finalize the ones which are worth. This way also you can tackle you budget. Wedding photo albums comes in various designs and categories, and are costly, really very costly. Here also you can which type of album to choose from all the variations. Going for too costly album will only increase your budget. In such case it is advisable to go with the decent one, which doesn’t cost you high and at the same time looks good also. I am not saying to compromise, it is just to choose wisely, in your budget. All in all, it is completely up to you which option you want to opt for your budget wedding photography. The whole point is you have to choose inexpensive in your budget not the cheap. 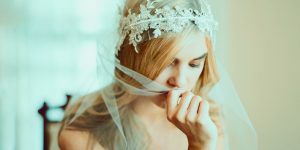 Today when there are replete of wedding photographers, all types of price range are available because of that, you can easily choose what works best for you, in your budget, and there are several parameters to see like whose style suits your taste, whether the photographer you are looking is renowned or the less known one etc.